Beauty queen Miss Earth Australia Liana Werner-Gray got a wake-up call at the age of 21, when she was diagnosed with a life-threatening health complaint. Realizing that health issues were holding her back, including in her entertainment career, she decided to change her lifestyle. Through juicing and using the whole-food recipes shared in this book, Liana healed herself in only three months. This success inspired Liana to create the Earth Diet and make information on the incredible power of plant-based and natural food available to others. She has since used her recipes to help thousands of people with diabetes, acne, addictions, obesity and more. When you get the essential vitamins, minerals and micro-nutrients your body needs, you can't help but feel better. 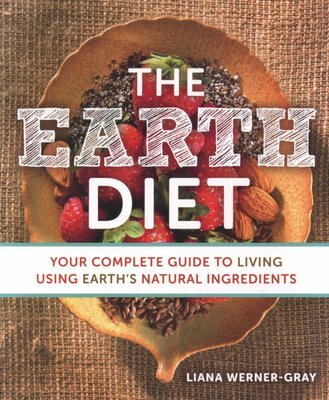 In this book, you'll find more than 100 nutrient-dense recipes that provide proper nutrition. The Earth Diet is inclusive, with recipes for every person, ranging from raw vegans to meat eaters. It also features specific guidelines for weight loss, boosting the immune system, increasing your energy, juice cleansing and more. 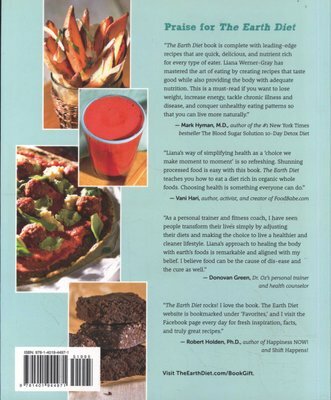 If you're looking for great-tasting recipes to help you live your healthiest life ever, then this book is for you.